Featuring organists who have played at Geneva Presbyterian over the years. they play the Four Manual Wicks/Walker-Technical 53 Pipe Ranks 70 Digital Voices 1978: Wicks Pipe Organ. 2007 Walker-Technical Digital Stops. Philip Riddick Tonal Designer for Enlargement of Organ 2007. In conjunction with the annual Fall Festival of Hymns, Concordia University is pleased to offer a one-day church music conference in partnership with the Association of Lutheran Church Musicians and the Orange County Chapter of the AGO. 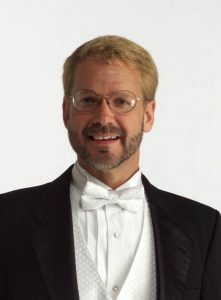 Nationally recognized organist and composer Michael Burkhardt will serve as the plenary speaker and festival leader. Thanks to the generous support of the Orange County AGO chapter, we are pleased to offer a discounted registration rate of $30 ($20 for students) to OCAGO members—a savings of 33% compared to the regular $45 registration fee. Your registration includes lunch, an afternoon reception, and a complimentary ticket to the closing hymn festival. To register using the discounted rate, please use an online registration link that will be shared directly with OCAGO members by mid-September. You may complete your registration online, or you may print a registration form that can be mailed with an enclosed check. A second Hearts • Hands • Voices workshop will be presented at First Lutheran Church in Torrance, California on Saturday, October 20. This event will feature three sessions led by Paul Vasile of Eden Theological Seminary in St. Louis, and will focus on leadership skills and strategies that strengthen and inspire the singing voice of our congregations. A discounted registration option of $70 ($30 students) is available at https://alcm.org/event/irvine-ca/ to attendees who wish to attend both the Irvine and Torrance events. The event begins at 7 pm, is over circa 8:30 pm, and, is followed by a reception involving home-made cookies >:). All are welcome, no admission fee. We have about 200 vocal scores to loan to those who wish to help sing the 9 choruses that are included in the program (mostly, Part 1, because of the season, but, of course, we have to do #44 and #53). Although we do assemble an orchestra (consisting of high schoolers to pros), we feature our wonderful 57 rank Henry Pilcher and Sons (restored, 1st by Ron Kraft and later Ryan Ballantyne) Pipe Organ.